A lot of my techie friends are saying that the entry priced-Apple Watch Sport will be their pick next month, and not because of the exterior look. The theory is that Sport is the cheapest way to experience Apple’s new product category in 2015, and since the second-gen Apple Watch will inevitably be upgraded, why pay a premium this year for nicer materials such as stainless steel and sapphire glass? Despite the Apple Watch’s desire to marry jewelry with technology, it hasn’t lost the baggage gadgets carry, namely the reality that they’ll be outdated and replaced in a relatively short period of time. If the Apple Watch evolves anything like the original iPad did when it became the iPad 2, the differences could be dramatic. Personally, when I think about getting more perceived value out of a higher-priced stainless steel Apple Watch rather than testing the waters with the cheaper aluminum model, I’m more concerned with how soon the Apple Watch 2 will be announced rather than how much more functional the newer device could be. No matter what happens with the first-generation model, an Apple Watch 2 will come to market. How will Apple balance keeping the Apple Watch evolutionary momentum going with keeping the first-generation model “modern” for enough time to satisfy early adopters? In addition to announcing a trio of new Android tablets, AT&T has also announced that it is expanding its GoPhone prepaid plans to support a handful of tablets, including the iPad mini and iPad 3. The GoPhone plans work by purchasing a $10 GoPhone SIM Kit then choosing a pre-paid data plan for your device. For $15/mo you’ll get 250MB of data and 100MB of additional data can be purchased for $10 each. $30 a month will get you 3GB and 500MB of additional data will run you $10. Finally, $50 per month will get you 5GB of data, with each additional GB costing $10. Best Buy started offering some nice deals on the previous generation iPad 3 with Retina display today with most models available for up to 30 percent off normal retail prices. One of the most enticing deals will let online shoppers get their hands on a 16GB Wi-Fi only model for just $314. A 32GB Wi-Fi only model is available for as low as $384 ($165 off retail). The retailer is offering deals on other iPad 3 models as well, such as the 16GB iPad 3 with Wi-Fi + Cellular on AT&T for $405.99. You can check out all Best Buy’s iPad 3 deals here. Update: Walmart’s iPad mini deal is now available for shipping. Available through a campaign on newly launched crowd-funding website Makerlaunch, the Deohako is an iPad case with a built-in connection system for connecting various peripherals and attachments quickly and easily to the device. 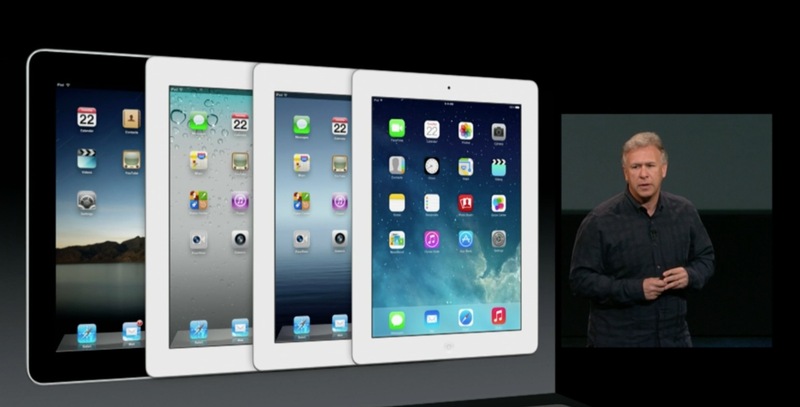 Its available for iPad 3, iPad 4, and iPad mini starting at $60. The first preorders will ship mid-December. There are literally thousands of ways to use the Deohako iPad System at work but here are a few of my favorites. Click the Deohako Case inside of a notebook and throw in your bag. Use the Joby GorillaPod Zoom bendable Tripod to install the iPad on the back of a car seat hours of entertainment. Use the rigid suction cup to attach the iPad mini to the front windshield and use as a GPS device. Attach the adjustable clamp to a stroller and listen to your favorite audiobook while walking around town. The morning of Apple’s iPad mini event earlier this week, we told you there was a handful of new accessories coming including four new Lightning adapters and a 12W USB power adapter. We didn’t hear much about them during the event, but the new cables and adapters have hit Apple’s online store now, including a Lightning Digital AV adapter and Lightning to VGA adapter, with most shipping in “2-3 weeks”. On the product page for the new 12W USB charger, Apple confirmed it would indeed ship with Retina iPads. With the new fourth-gen replacing the third-gen iPad—that would essentially cover just the iPad 4. It is, however, selling the adapter by itself for $19 online and listing compatibility with iPad 2, iPhone 4S, and iPod touch fifth-gen and up. Many readers have wondered whether the adapter would allow for faster charging with the iPad 3 and fourth-gen iPad. A big complaint among third-gen iPad users is that the device took up several more hours to charge than previous generations due to its larger battery. Also, on Apple’s discussion forums, some users asked if a software update would be required for the iPad 3 to draw additional power.